A little activity goes a long way! SoloWalk helps you get up and walk early in your recovery. Mobility therapy can help prevent muscle loss, reduce pain and even help you leave the hospital earlier. Learn more about early mobility therapy here. You are in control. SoloWalk has a patient-driven mobile base. You just walk and it will follow you effortlessly anywhere you want to go. With Solowalk’s automatic fall protection system and secure attachment, you can feel safe and confident while walking. 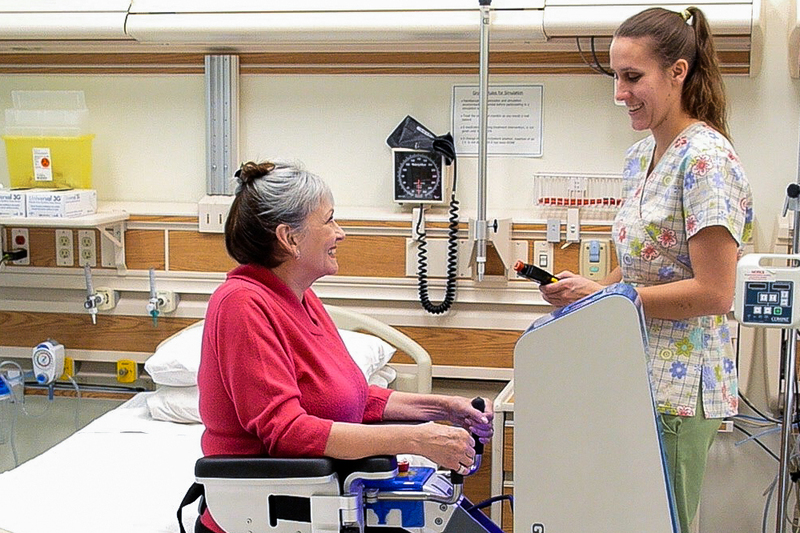 A powered lift easily brings patients out of bed or up from a wheelchair. 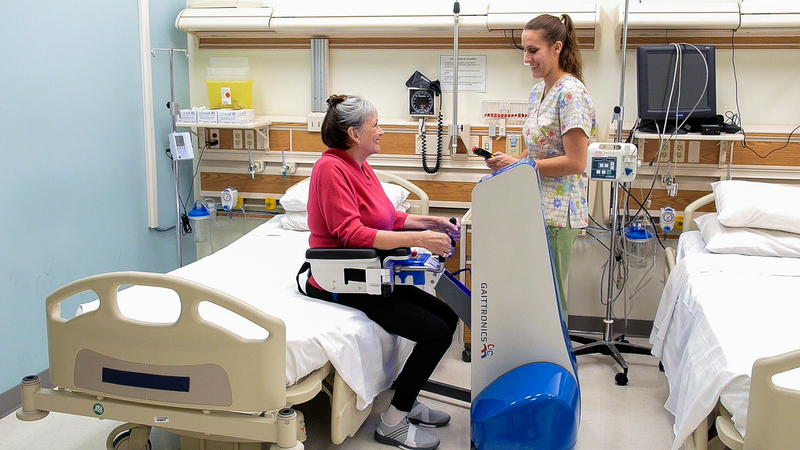 SoloWalk’s powered base can be positioned by the press of a button. No need for a second caregiver for positioning. 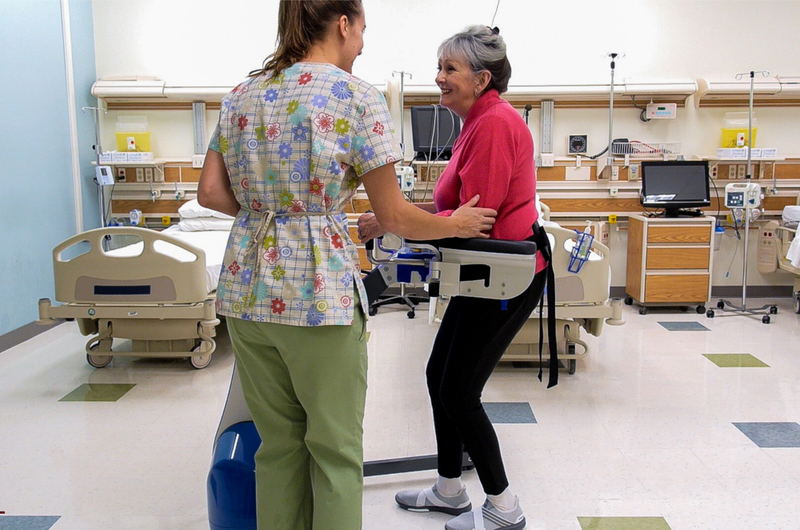 SoloWalk’s automatic fall protection prevents patient falls without caregiver intervention. With SoloWalk a typical 2-person assist patient becomes a 1-person assist. A single caregiver can easily get a patient out of bed and mobilized in complete security. 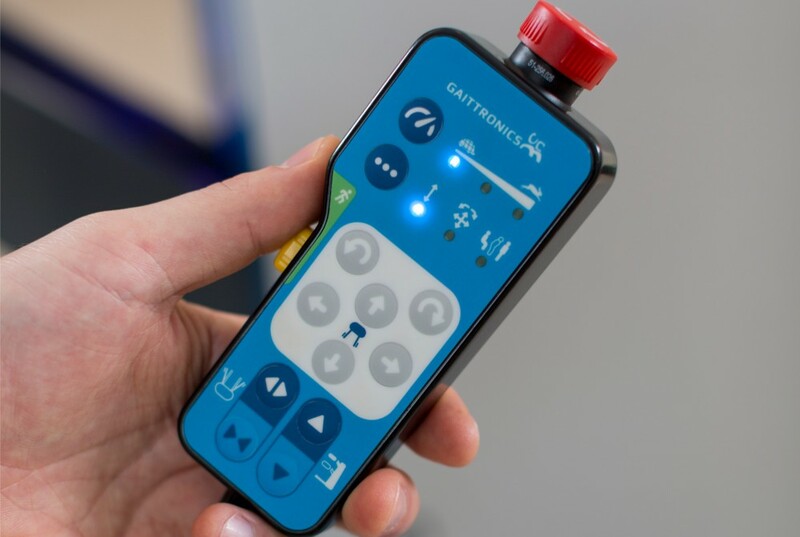 This makes it much easier to provide mobility therapy with minimal impact on workflows. 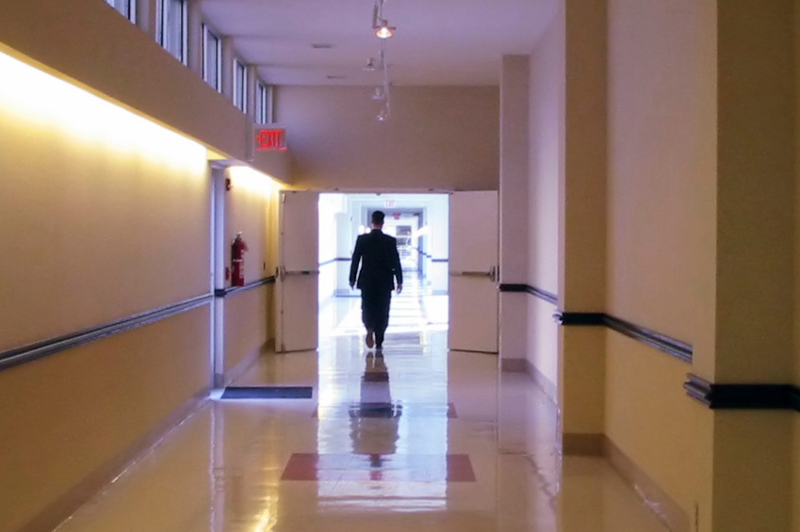 Solowalk helps a greater proportion of patients mobilized and at a earlier time. 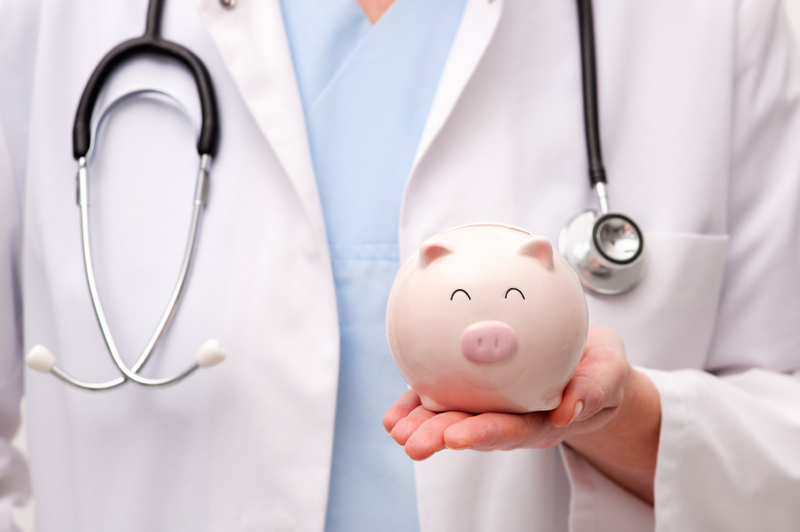 This results in significant length-of-stay savings reducing care costs. 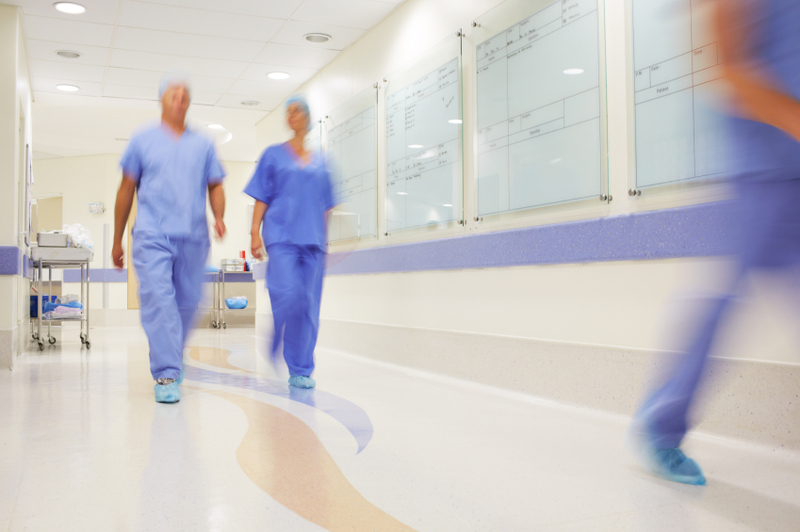 Patient handling tasks such as mobilizing patients are often a risk for patients and caregivers. With SoloWalk’s fall protection system, injury risks are significantly reduced for both patient and staff. 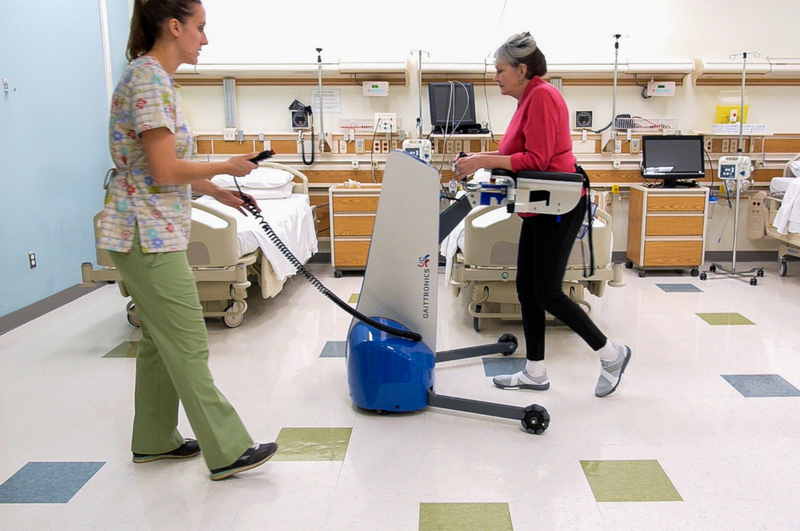 You can mobilize patients without increasing the risk of falls. © GaitTronics Inc. All Right Reserved.